Hezbollah Secretary General Sayyed Hasan Nasrallah Tuesday stressed that Mosul victory is great and that it tops a series of accumulating victories over ISIL terrorists, considering that the what has happened in Iraq affects the destiny of the entire Umma. 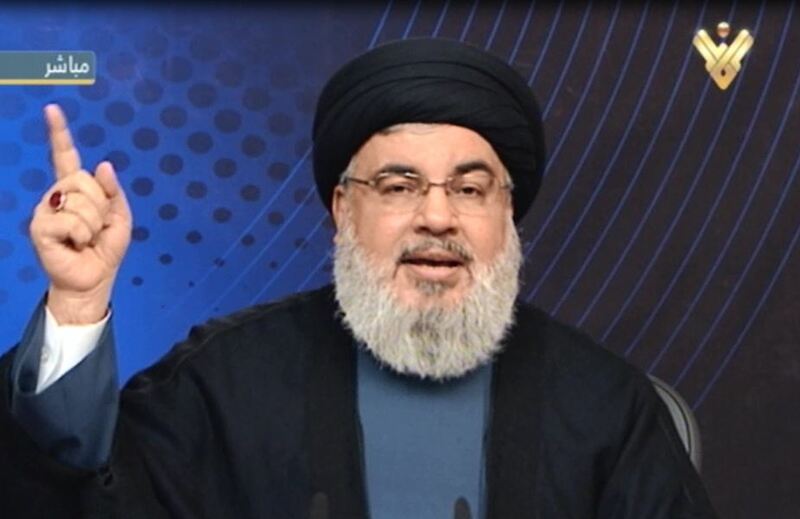 In a televised speech, Sayyed Nasrallah said that ISIL invasion of Mosul in 2014 was eminent and pushed many Iraqis to get frustrated and disappointed, adding that Ayatollah Sayyed Ali Sistani later issued a historical call (Fatwa) for all the Iraqis to fight the terrorists. Hezbollah leader maintained that the Ayatollah Sistani’s Fatwa managed to move the Iraqi’s out of the state of disappointment and frustration and contributed to establishing the Popular Mobilization Forces (PMF), noting that this Fatwa encouraged the Iraqi army and security forces and pushed hundreds of thousands of youths to join ISIL fight. Sayyed Nasrallah added that the Islamic Republic of Iran, led by Imam Sayyed Ali Khamenei, provided Iraqi with all forms of assistance just after ISIL invasion, adding that the IRGC officers came into Baghdad to help the Iraqi forces in ISIL fight. Sayyed Nasrallah also pointed out that the Iraqi forces rejected to obey the foreign regulations and attempts to frustrate their will to fight ISIL, stressing that this did contribute to the victory. Hailing the role of Sunni clerics in ISIL fight for refuting the claims that the battle was sectarian, Sayyed Nasrallah said that when the Iraqis stuck to the national unity and got involved in the battle, they managed to defeat ISIL. To restore security across the rest of Iraqi areas, the Iraqi forces have to keep on fighting ISIL, according to Sayyed Nasrallah who said that there is a historical chance to completely eradicate the takfiri group in Iraq, Syria and the entire region. Sayyed Nasrallah said that the US officials acknowledged that Obama’s administration established ISIL and that the American assistance to the Iraqi army is controversial. Hezbollah chief congratulated Ayatollah Sayyed Ali Sistani, Iraqi PM Haidar Al-Abadi and all the Iraqis who sacrificed in order to defeat ISIL. Sayyed Nasrallah also congratulated the Islamic Republic of Iran, led by Imam Sayyed Ali Khamenei, and all who have supported the Iraqis on Mosul victory. 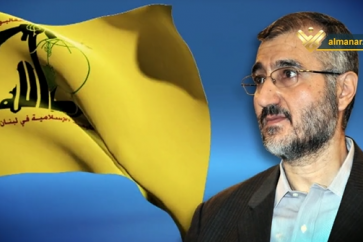 Hezbollah Secretary General asserted that the terrorists in Arsal barrens represent a main threat to all the Lebanese as some of the suicide bombings get prepared in that area, adding that it is high time that such terrorist dangers get eliminated. Sayyed Nasrallah added that the Lebanese army will control all the Lebanese territories after liberating Arsal town and its barrens. Hezbollah chief also greeted the Lebanese army and security agencies for their mighty efforts to fight the takfiri groups in Arsal barrens and arrest the members terrorist cells as well as their masterminds and funders across the country. 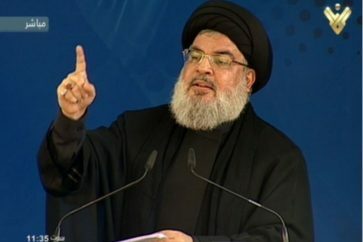 Sayyed Nasrallah pointed out that if these cells and would-be suicide bombers had been able to carry out their plots, Lebanon would have suffered from hard economic and security situations, adding that what Hezbollah and the Lebanese army has done in Arsal has diminished the terrorist threats. Sayyed Nasrallah considered that the Syrian refugees are spread across Lebanon and that this file overpressures all the Lebanese segments. Hezbollah leader urged the Lebanese government to communicate with the Syrian authorities in order to end this Syrian refugees crisis for moral, social and economic considerations in Lebanon and Syria. Sayyed Nasrallah rejected the local attempts to prolong the Syrian refugees calamity in order to receive foreign aids. Domestically, Sayyed Nasrallah stressed Hezbollah support to the government, calling for activating the political institutions in order to tackle the security and socio-economic problems.